How do I accept on-site / accept payments at the door for ticket sales? Organizers can have their attendees pay by cash at the door or on-site payment. 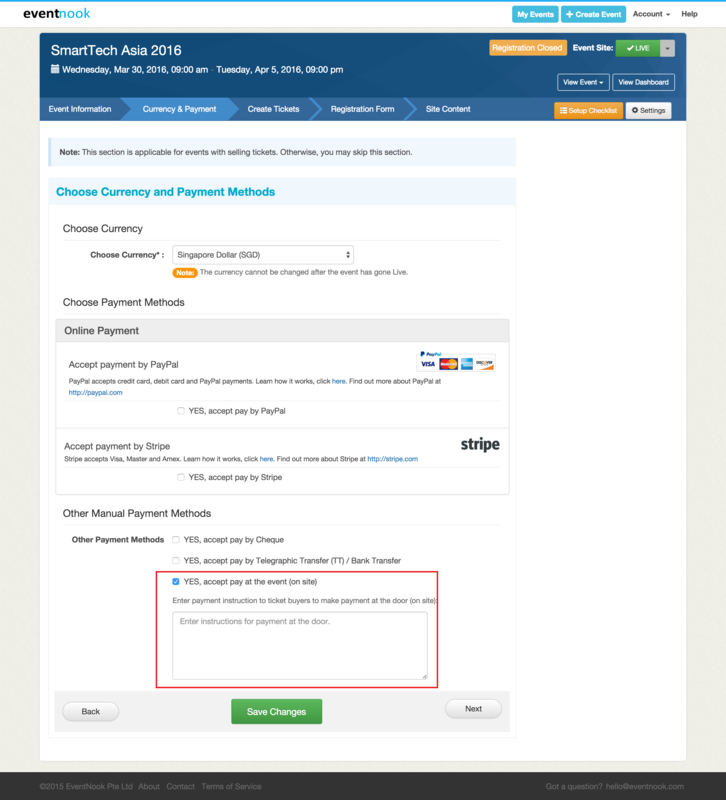 To accept payment at the on-site: When you create an event, you can choose the on-site payment option under Currency & Payment section as shown in the image below. You can add the instructions on how the attendees can make payment.